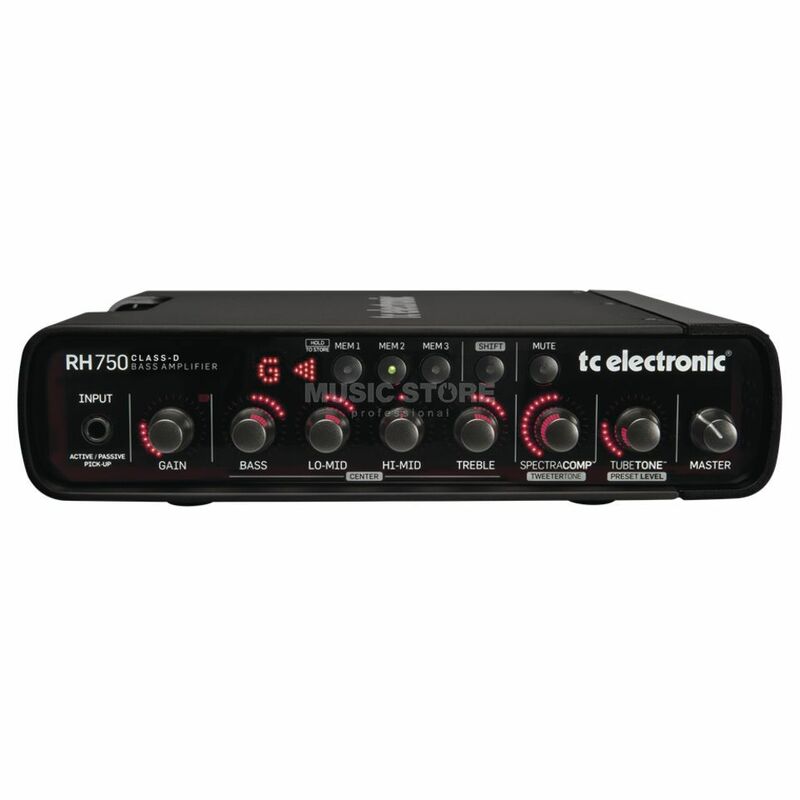 TC Electronic RH750 Bass Head: with 750 watts of power and 1200 watts peak as well as superior tonal capabilities and the well-known Bass Amp 2.0 feature set, RH750 is ready to take on any stage anywhere! The TC RH750 continues the Bass Amp 2.0 quest of bringing a whole new set of features to bass players. The RH750 features a built-in chromatic tuner, three presets and jaw-dropping tone shaping abilities combined with immense power and stunning bass tone. The TC RH750 Bass Head jams significant power into its compact design - 750 watts (1200 watts peak) just waiting for you to unleash it on stages everywhere! A new TweeterTone knob gives you ‘intelligent HF control’ that can take RH750 from old-school vintage tones to crisp and modern bass tones or anything in between in seconds. Further, RH750 includes SpectraComp, a unique ‘per string’ bass compressor that has been praised by bass players all over the world for its extremely even compression across all strings. TubeTone, an amazing recreation of both a tube pre- and power amp. The RH750 has the exact same preamp as the crown jewel bass amp: Blacksmith! The built-in, chromatic bass tuner makes maintaining perfect pitch of the low notes on the stage simple. The tuner is always displaying the tuning state of your bass, and it is a breeze to tune up silently and swiftly between songs by hitting the Mute button. Dimensions 275 x 290 x 66 mm / 10,8" x 11,4" x 2,6"